Former Federal Court judge Annabelle Bennett and her sister Jennifer Darin are selling two prime commercial buildings in Chatswood, with hopes of receiving more than $40 million for the properties' sale, according to realcommercial.com.au. The buildings, at 282 and 284 Victoria Ave, have been in the Darin family since they were built and are to be sold together via an expressions of interest campaign. 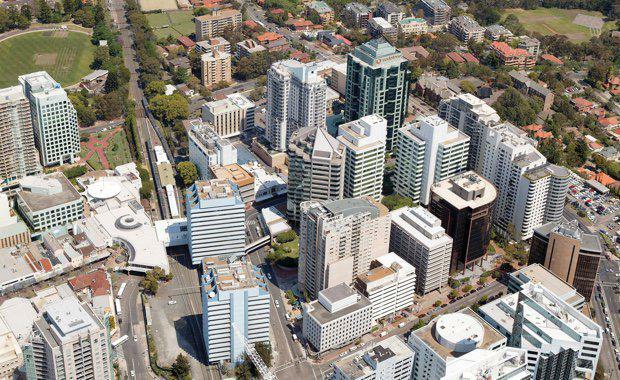 The Chatswood buildings offer secure holding income and a strong mix of long standing tenants and are centrally located in a prime position on the busy Victoria Avenue retail strip directly opposite Chatswood Chase Shopping Centre in the heart of Chatswood. The buildings form a large site of 2,175 sqm and benefit from favourable zoning allowing for future residential and mixed use development, subject to council approval. The Honourable Dr Annabelle Bennett AO SC was formally elected as Bond University's 8th Chancellor on 19th April 2016. Dr Bennett retired as a Judge of the Federal Court of Australia in March 2016 after a distinguished career in the law.She became a Senior Counsel in New South Wales in 1994. In addition to an appointment as a judge of the Federal Court of Australia, Dr Bennett has served as the President of the Copyright Tribunal of Australia, Arbitrator of the Court of Arbitration for Sport, Presidential Member of the Administrative Appeals Tribunal and an Additional Judge of the Supreme Court of the ACT. In 2005 she was appointed as an Officer of the Order of Australia (AO) for service to the law, particularly in the areas of intellectual property, administrative law and professional conduct; and to the community.